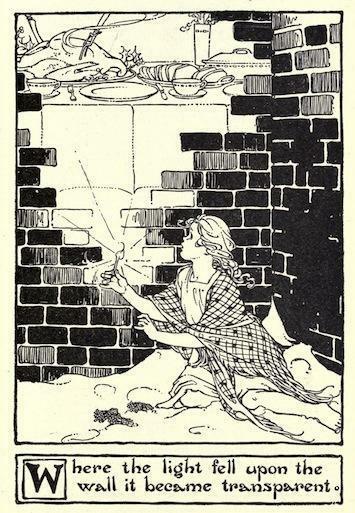 The Little Match Girl , also titled, The Little Matchstick Girl is one of our Favorite Fairy Tales. Published by Hans Christian Andersen in 1845, it exemplifies his broad literary talent and ability. I personally like to read this story at least twice a year, once in Autumn as the holiday season comes into focus, and then again around the Christmas holiday. It's a gentle reminder of the value of compassion and charity. The Little Match Girl Study Guide is a resource for teachers and students. More works by Hans Christian Andersen, including famous fairy-tales like The Emperor's New Clothes, The Princess and the Pea, and The Ugly Duckling can be found at The Hans Christian Andersen Homepage. Readers that enjoyed this story might wish to read The Last Dream of Old Oak and The Tinder-Box. For a sample of Andersen's lighter and more humorous side, I suggest The Shirt-Collar. The Little Match Girl is a featured selection in our collection of Christmas Stories and Short-Short Stories. Add The Little Match Girl to your own personal library.